Unless you speak Chinese, navigating the markets of Mong Kok can be a difficult task. 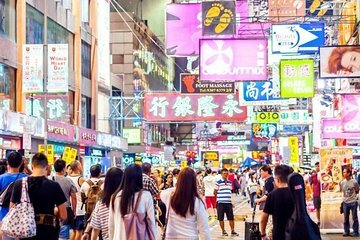 Overcome the language barrier and discover a local part of Hong Kong during a market tour of Mong Kok. As well as providing a traditional Hong Kong shopping experience, this tour serves as a great way for first-time visitors to orient themselves amid the bustle of Kowloon.